Focused winemaking consulting and education for wineries of the “East’ to improve wine production efficiency, quality, and marketability. At Denise Gardner Winemaking, you’ll find I approach wine production consulting in a unique way. I believe each winery I work with provides a special story in the glass. My coaching and consulting options help you compose the tale you want to tell. For winemakers and winemaking enthusiasts who want to learn and improve their winemaking techniques, but aren’t in the market for a full-time consultant. Need more information? I can explain the intent and benefits of the Darn Good Winemakers network in this 2-minute video. I sure hope you’ll join the conversation! Connect with the Darn Good Winemaker network by purchasing your membership today! Wine consulting services and prices vary according to YOUR needs. While à la carte and project-focused consulting options exist, the DGW Community packages provide convenient, customizable, and proactive consulting services to build your wine’s brand and lesson overwhelm in the cellar. Hear what DGW Community members are saying! Invitations to Darn Good Winemakers monthly educational sessions (see above). Access to the DGW Online Learning Center: educational content, Cellar Tools that develop winemaking strategies, production templates, and MORE available at your fingertips whenever you need it! Monthly wine sensory evaluations that provide valuable feedback on your wines. Potential on-site visits for production troubleshooting, wine evaluation, employee training and more. Regular consultations when you have questions that need answering quickly. 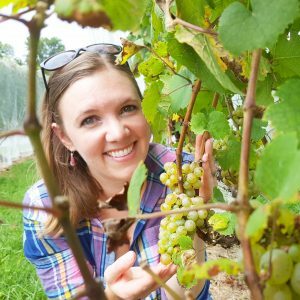 Scheduled, regular harvest check-ins: I’m your extra resource to help you develop ideal winemaking strategies and prevent cellar problems specific for your operation. DGW Community Updates: exclusive bi-monthly email reminders and tips to improve wine quality. Find out more about the DGW Community consulting packages here, or inquire today for pricing! Email us at info@dgwinemaking.com.